The protection of the final product is one of the most important requirements in the packaging and storage of solids, powders and bulk materials. Taking the example of materials such as cement or chemical compounds, these need a final packaging that allows tightness and total permeability so that the product is not affected by external agents. To respond to this need of the industry, Innova presents the Stretch Hood packaging technology designed for the total protection of palletized bags. Innova will show the advantages of Stretch Hood at the next multi-sector trade fair Exposolidos 2019, from 12 to 14 February in Barcelona, at the booth 223. 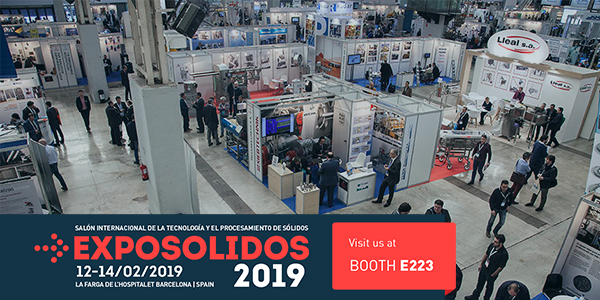 Exposolidos is an international trade fair dedicated to technology for the handling, processing and transport of solids, bulk materials, dry powders, semi-solid powders and separation of liquids-solids. In its 9th edition, the fair is aimed at sectors as diverse as the chemical, construction, food and feed, agricultural or pharmaceutical, among others. Why Stretch Hood for the protection of solids and powdery materials? The Stretch Hood system performs a cold shrinking of the load by means of a tubular film with specific characteristics of watertightness and protection. Stretch Hood is fully adaptable to the palletized load, and is specially designed for bag packaging as it covers the entire product. Unlike other solutions such as the automatic wrapping system, you do not need to apply a cover to protect the top and only need a layer of film. In the case of explosive chemicals or sensitive properties, total protection is even more demanding. Stretch Hood is therefore becoming one of the industry’s preferred solutions, as Stretch Hood film has very unique properties and is composed of a multilayer material with a different composition and thickness than other solutions. In addition, by not applying heat to the hood, unlike the shrink hood system, it eliminates any risk associated with the handling and packaging of explosive products according to ATEX regulations. The other big advantage of Stretch Hood is the considerable savings in consumables as it uses up to 50% less than other solutions. By using a single layer that adapts to the dimensions of the load, Stretch Hood uses exactly the necessary film according to the load dimensions. This innovative system also allows energy savings, as only one hood is used and no heat combustion is used. Hand by hand with consumable savings, Stretch Hood offers enormous advantages in efficiency and sustainability. In addition to reducing the plastic used in cargo packaging, plastic waste and residues are also avoided. Innova recommends to its customers the use of biodegradable consumables and carries out a permanent eco-advice. Innova is constantly working on the continuous improvement of its technologies, and therefore offers end-of-line solutions that allow total automation of the final packaging process. Specifically, the Stretch Hood system is developed to allow faster production, sheathing up to 150 pallets/hour. This solution is usually implemented in a packaging line with transport complements, labelling and other industrial robotics solutions. 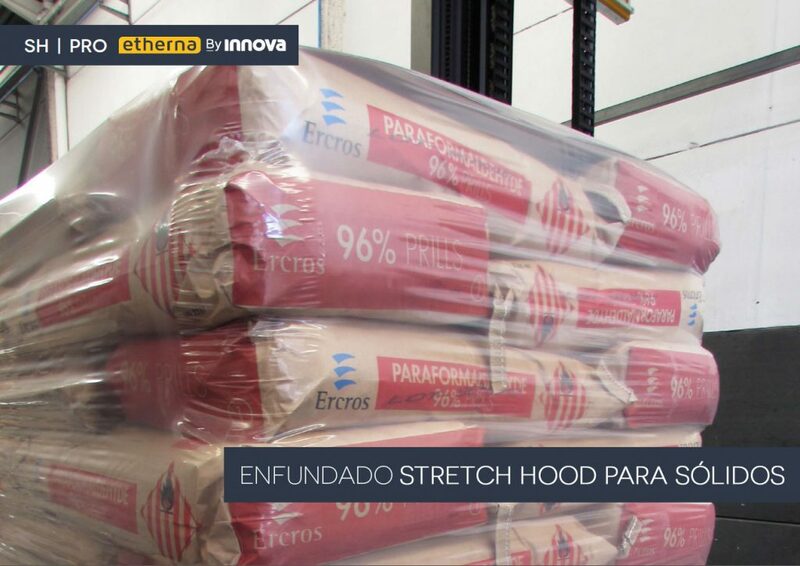 Numerous companies processing solids such as cement/mortar, chemicals, agri-food or animal feed, among others, already work with the Stretch Hood system from Innova. They have succeeded in optimizing both their production and the protection of their products. 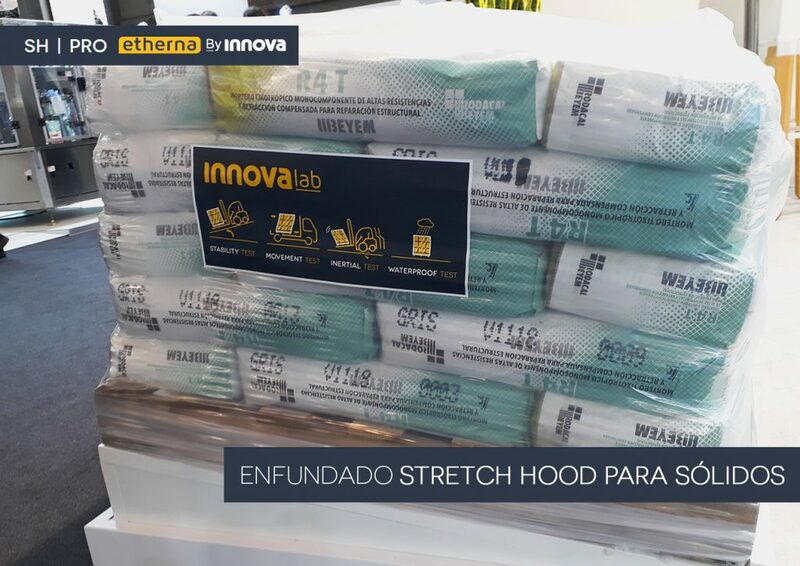 Discover at Exposolidos the advantages of Stretch Hood for bag protection by Innova, the leading Spanish manufacturer of this technology.